Home / MOVIE TRAILERS AND INFO / Watch the "Fantastic Beasts and Where to Find Them" Full Movie Final Trailer! Watch the "Fantastic Beasts and Where to Find Them" Full Movie Final Trailer! J.K. Rowling's newest adventure movie story, "Fantastic Beasts and Where to Find Them" starring Eddie Redmayne as the wandering wizard Newton Artemis Fido "Newt" Scamander. The movie is based on the book mentioned in Harry Potter book series by J.K. Rowling herself. 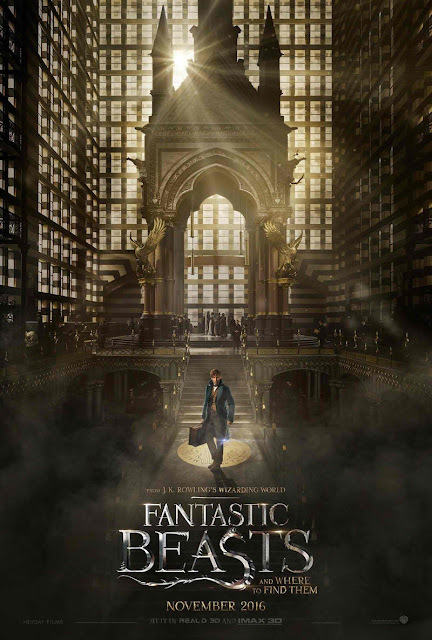 In this new film, we will find the book author, Newt Scamander, travel to 1920's New York to find or hunt for beasts that were unleashed. "Fantastic Beasts and Where to Find Them" is not an extension of the Harry Potter series but may be a part of the Harry Potter Universe. Newt Scamander is said to be an expelled student of Hogwarts School of Witchcraft and Wizardy for endangering a human life with a beast. Since then, he became an enthusiast for magical creatures and beasts and develops an interest in Magizoology. He wanders around the world to capture beasts and other magical creatures and keep them in his magical suitcase. His adventures where written into accounts on a book called "Fantastic Beasts and Where to Find Them". In the movie, we will see Newt Scamander's adventure to New York as he arrives in America for the Magical Congress. A few magical glitch happens and a new magical adventure begins. Watch the final full movie trailer for the "Fantastic Beasts and Where to Find Them" below. Enjoy!